SAIC has unveiled the India-bound MG E ZS at the 2018 Guangzhou Auto Show in China. Here are its images and specifications, courtesy Sohu. In India, MG Motor plans to launch an EV as its second model. Reports say that the EV the company is planning for our market is the MG E ZS, which it will import in CKD kits to keep the pricing a bit realistic. The MG E ZS employs a 110 kW (150 PS) electric motor, and its driving range certified by NEDC is 335 km. The MG E ZS, as its name suggests, is the pure electric variant of the MG ZS sub-compact SUV. The battery-powered variant flaunts a uniquely designed bumper, an inverted lower grille and distinctive 17-inch alloy wheels to differentiate from the ICE-powered variant. Moreover, it is painted in an exclusive sky blue colour. Then there’s a green ‘E’ before the ‘ZS’ badge on the tailgate. The MG E ZS has the same length and width as the MG ZS (4,134 mm and 1,809 mm respectively), but with a height of 1,620 mm, it is 28 mm lower. It employs a 110 kW (150 PS) electric motor. There’s no word on the battery capacity yet, but SAIC has revealed that the NEDC-certified range is 335 km. The company says that the zero-emission SUV can go up to 428 km on a full charge if driving at a constant speed of 60 km/h. In place of a gearshift lever, it has a rotary dial. 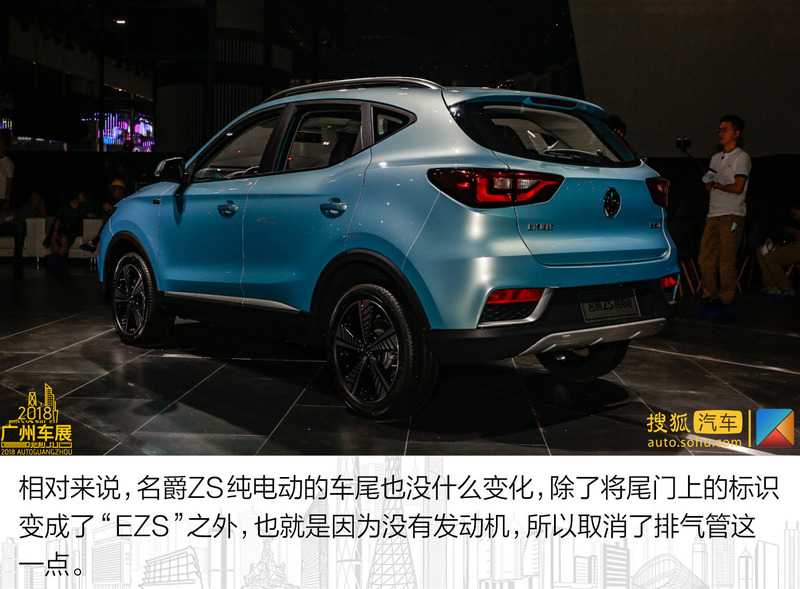 The MG E ZS is a global model, and in China, it will go on sale in the first half of 2019. 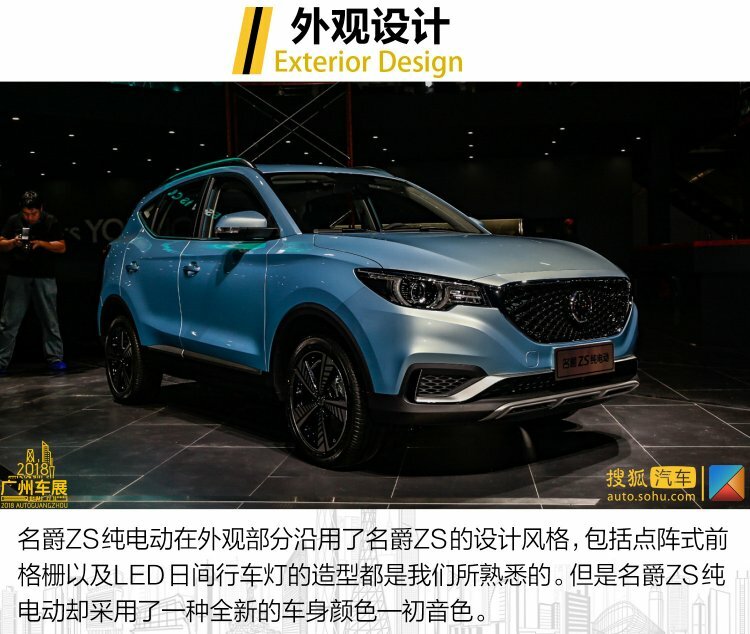 The MG E ZS will go on sale in China in the first half of 2019. SAIC says that it will sell this model worldwide.